One show, triple bill, with Chuck Berry headlining, Jerry Lee Lewis second billed and Bruce and the band opening. A show now steeped in legend. Berry's contract stipulated that it was the promoter's responsibility to supply him with a backing band for this concert. Apparently Bruce learned about a week before the show that the promoter was seeking a group to support Berry and immediately volunteered his band's services for free which the promoter gladly accepted. There was no rehearsal or soundcheck with Berry, so Bruce and the boys improvised as best they could. Sadly there is no known audio of this show. Guest appearance by Jackson Browne on the tour premiere (and the last concert performance) of Chuck Berry's "Sweet Little Sixteen". 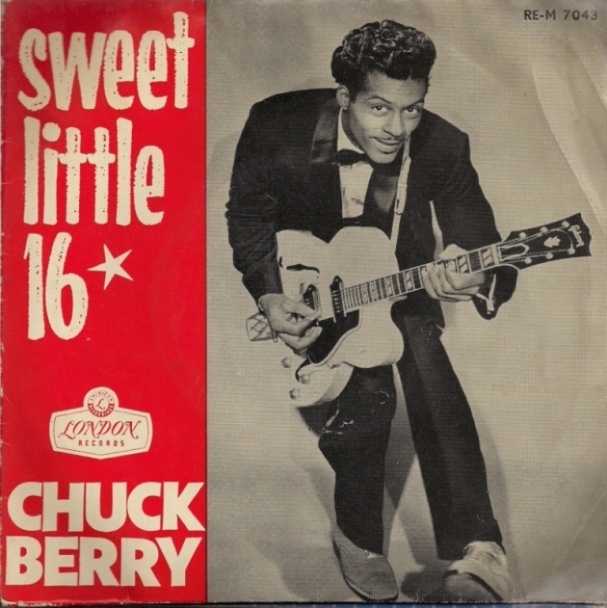 "Sweet Little Sixteen" is a song written and first recorded by Chuck Berry, who released it as a single in January 1958. The Beach Boys' 1963 song "Surfin' U.S.A." features lyrics by Brian Wilson set to the music of "Sweet Little Sixteen." Under pressure from Berry's publisher, Wilson's father and manager, Murry Wilson, gave the copyright, including Brian Wilson's lyrics, to Arc Music. 10.08.78 Rochester, NY, intro to "Sweet Little Sixteen"
"...I got a sister....in California....she just turned 16 and got her driver´s license.....and my mother´s always calling me up complaining ´cause she´s skipping school....and she´s doing everything that me and my sister, my older sister used to do.....so, here´s, here´s all the way to her..."
It's all right with you"